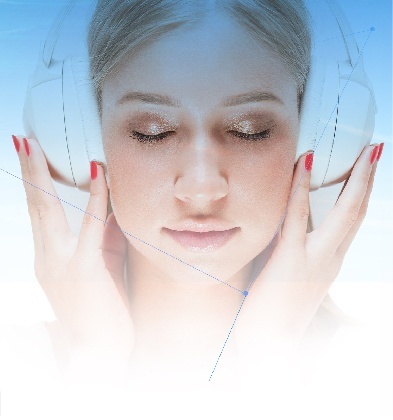 MindRazr harnesses the power of music to achieve better health outcomes. In just a few simple steps, MindRazr creates customised guided audio and video sessions combining the health and wellbeing exercises you need with the music you want to hear. Digital mobile and web solutions that helps users to improve their health and wellbeing by tapping into their music listening habits. Powerful reporting tools that provide valuable insight into the health and wellbeing of organisations of all sizes, while protecting the privacy and anonymity of users. MindRazr is built on the latest insights into physical and mental wellbeing and the connection between them. MindRazr draws on research into the separate health and wellbeing benefits of music, mindfulness and exercise, delivering cutting edge solutions for individuals, workplaces, educational and healthcare organisations. Whether your goal is physical fitness, healthy eating, managing stress and building resilience, or creating more effective mental barriers between home and work. MindRazr has expert content for your physical and emotional concerns, when and where you need it. 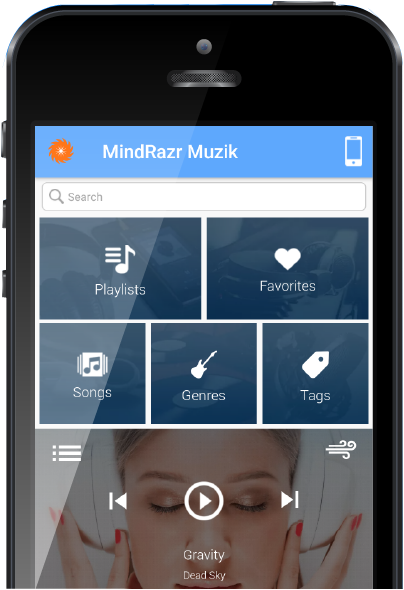 MindRazr allows you to unlock the power of your favourite music by combining your personalised music preferences with customised wellbeing content. Connect with individuals and organisations around the world who are using your content to achieve better health outcomes. Fall in love with your favourite music all over again.